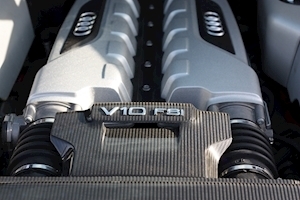 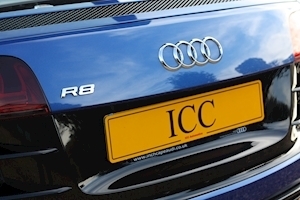 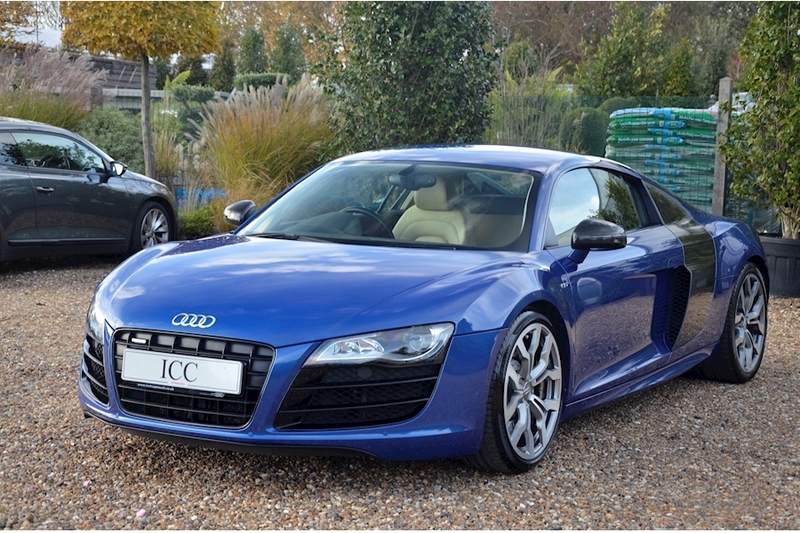 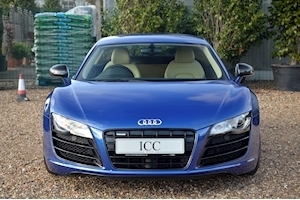 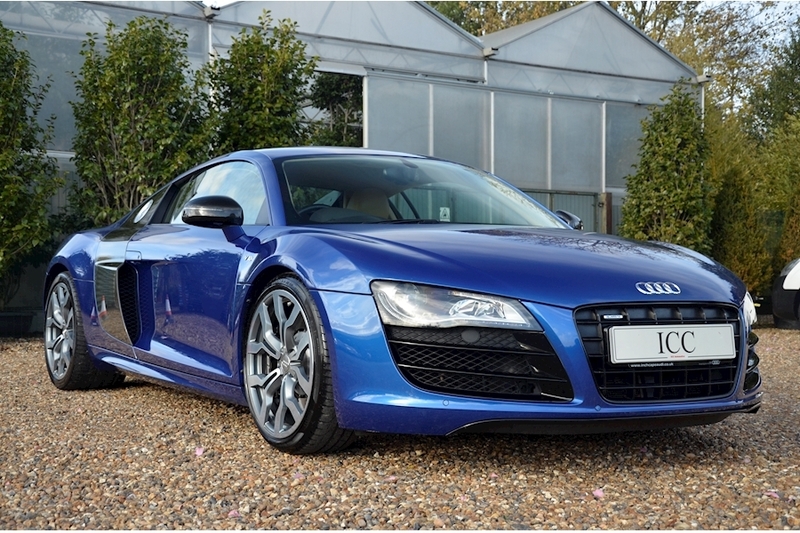 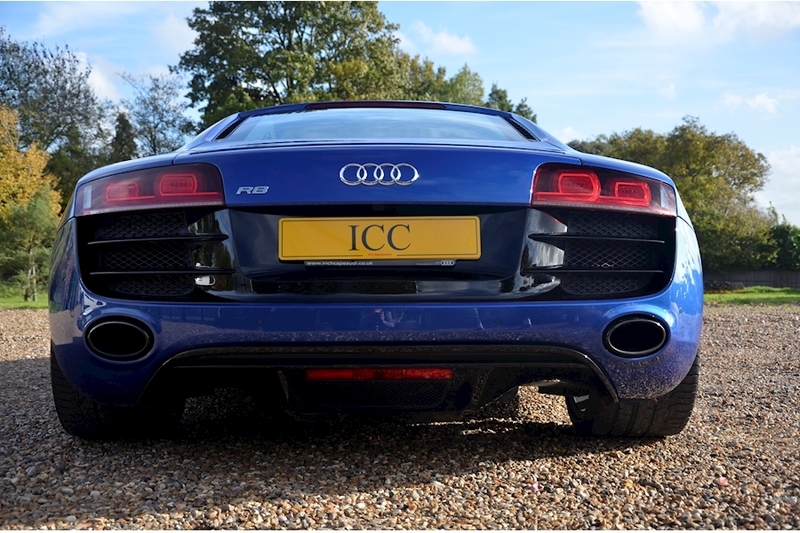 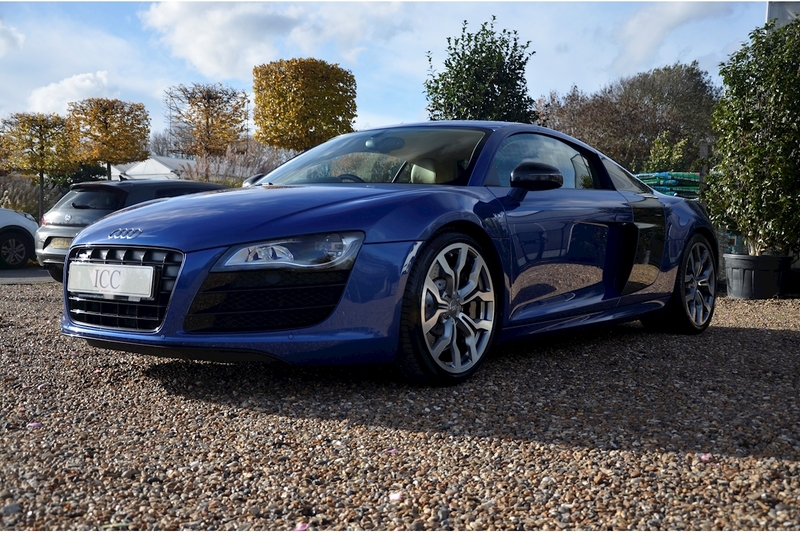 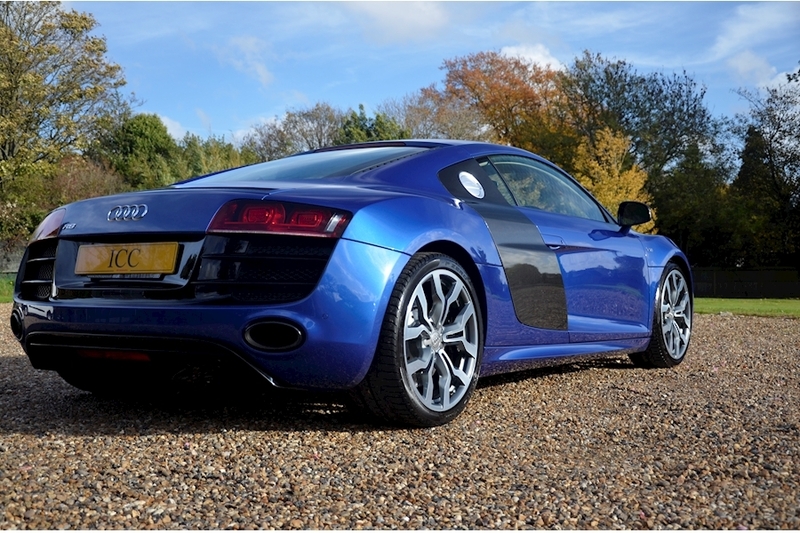 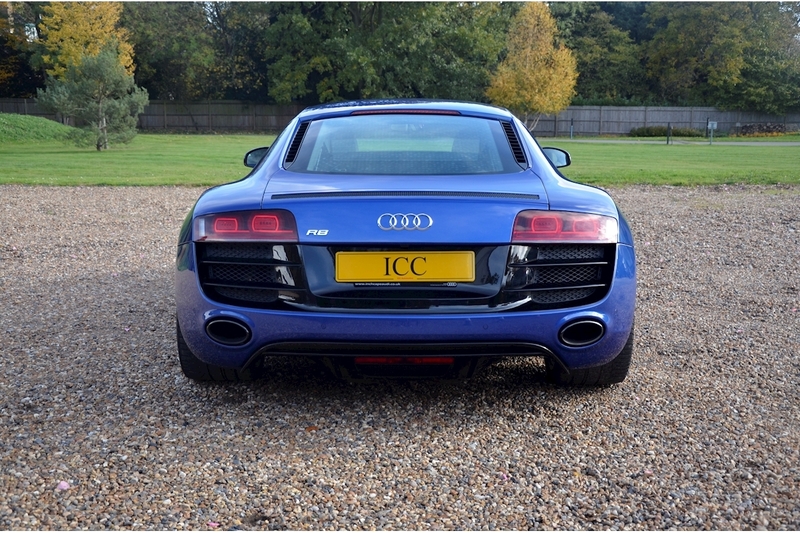 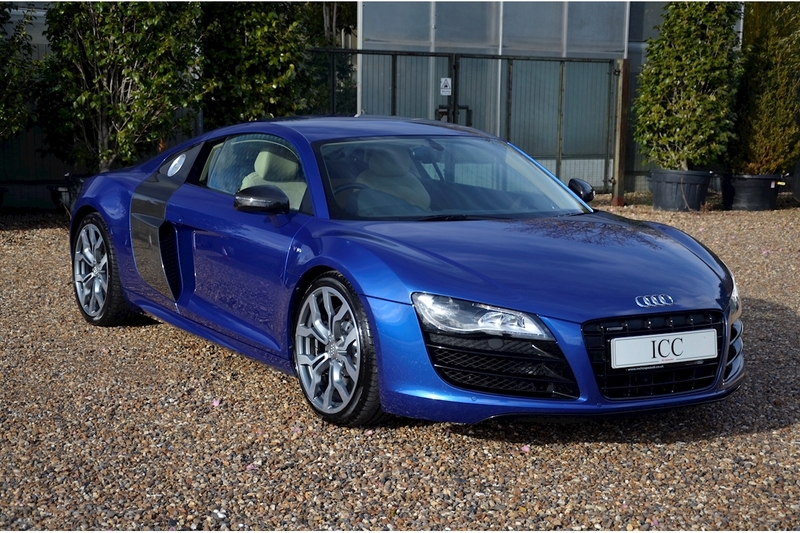 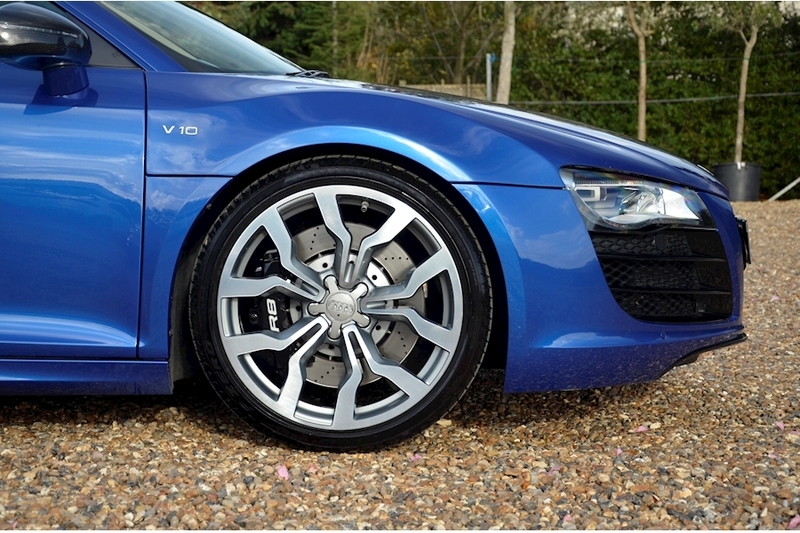 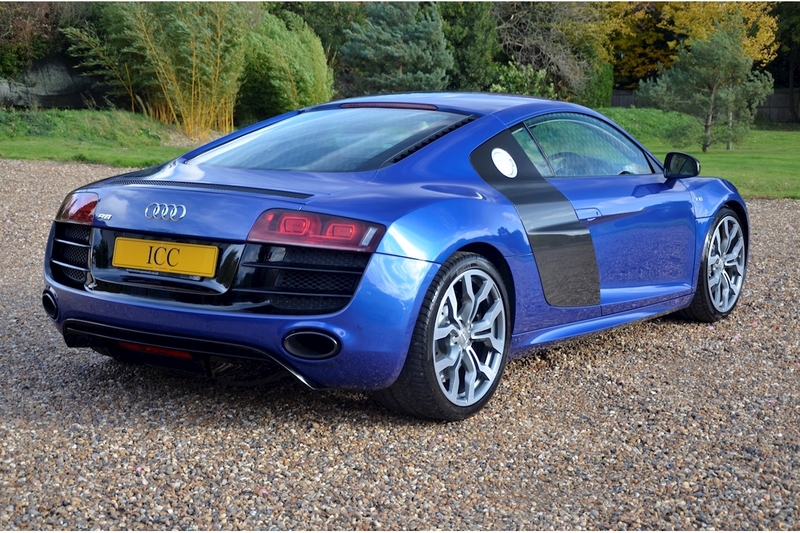 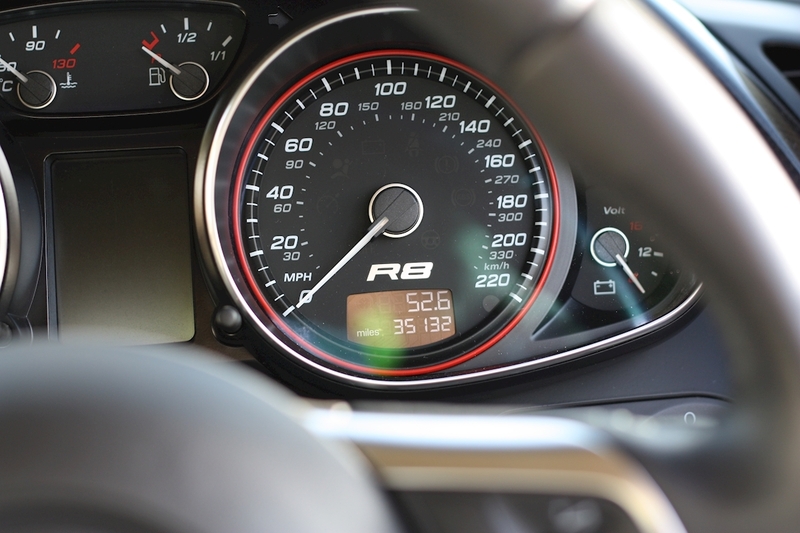 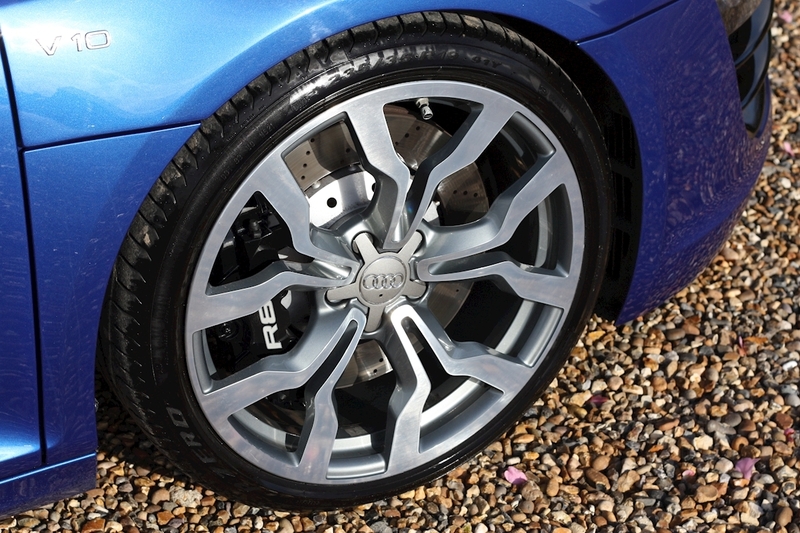 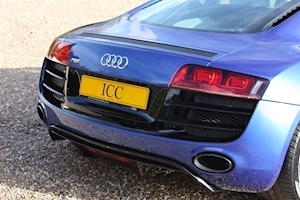 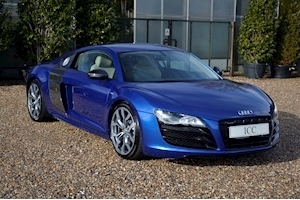 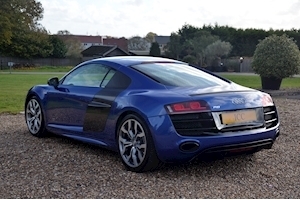 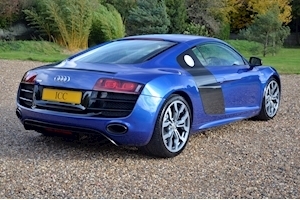 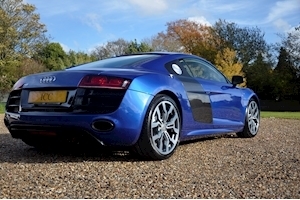 ICC are proud to offer for sale this incredible spec Audi R8 V10, that has covered just over 35,000 miles. 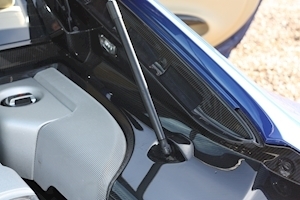 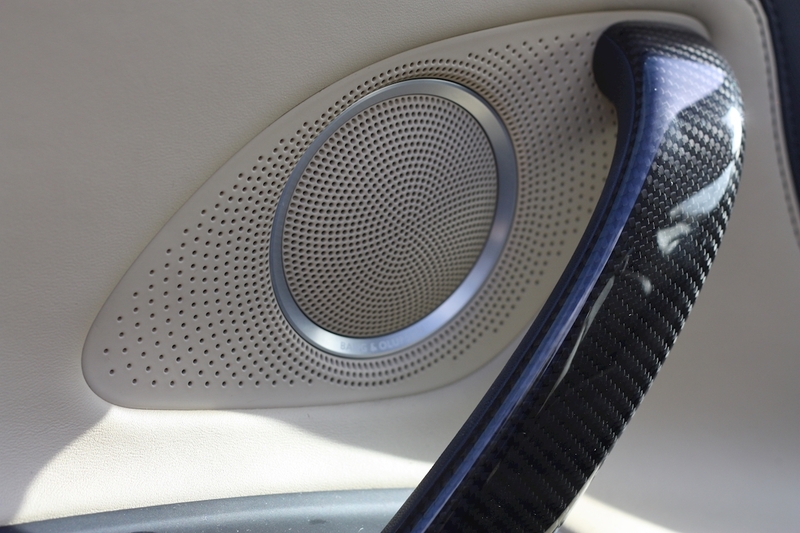 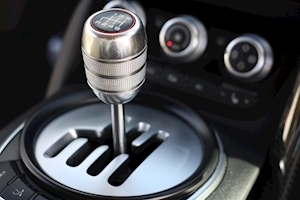 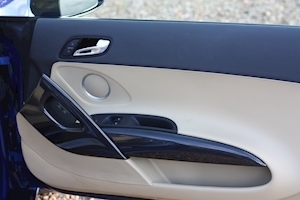 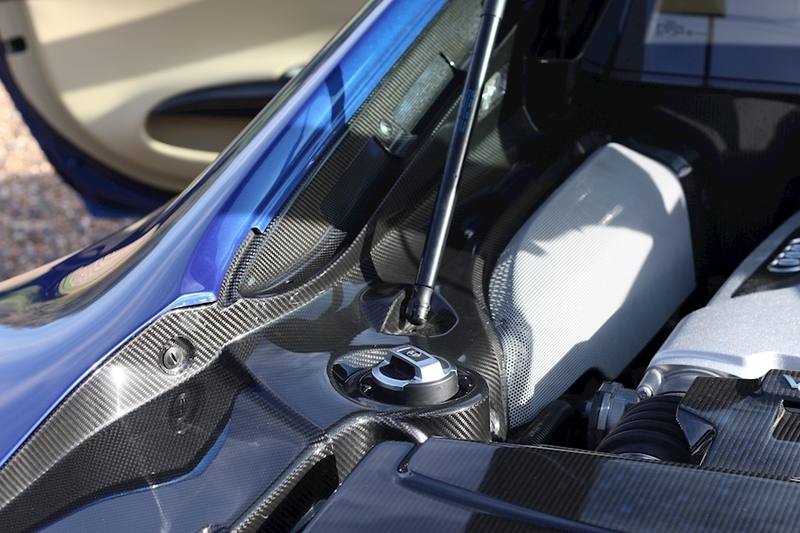 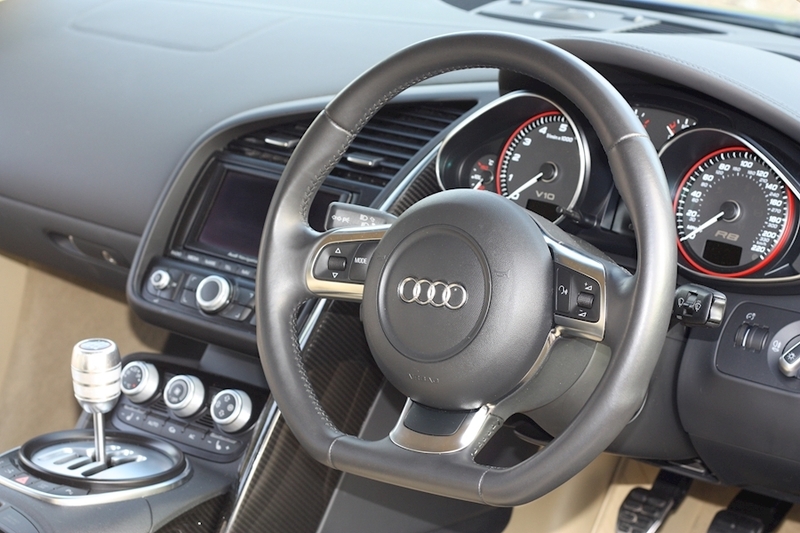 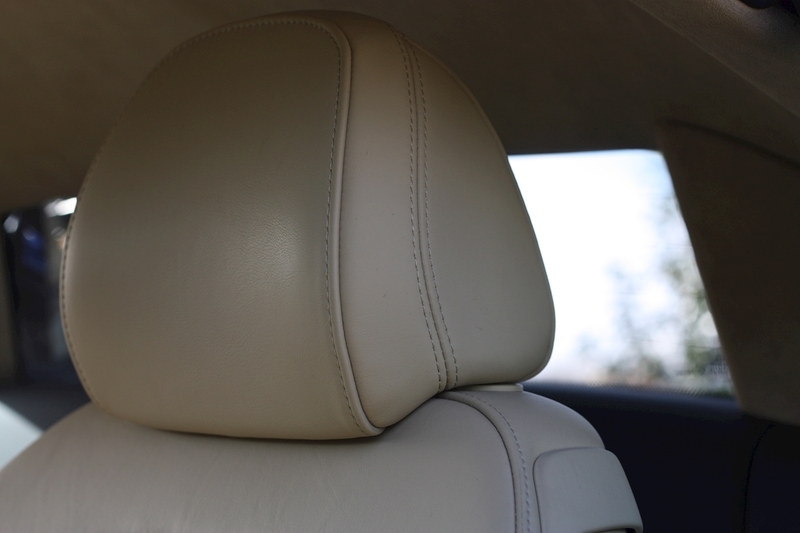 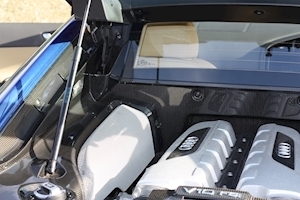 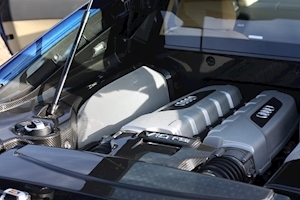 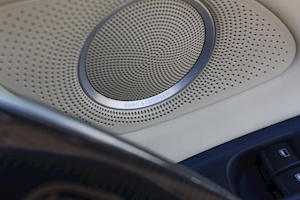 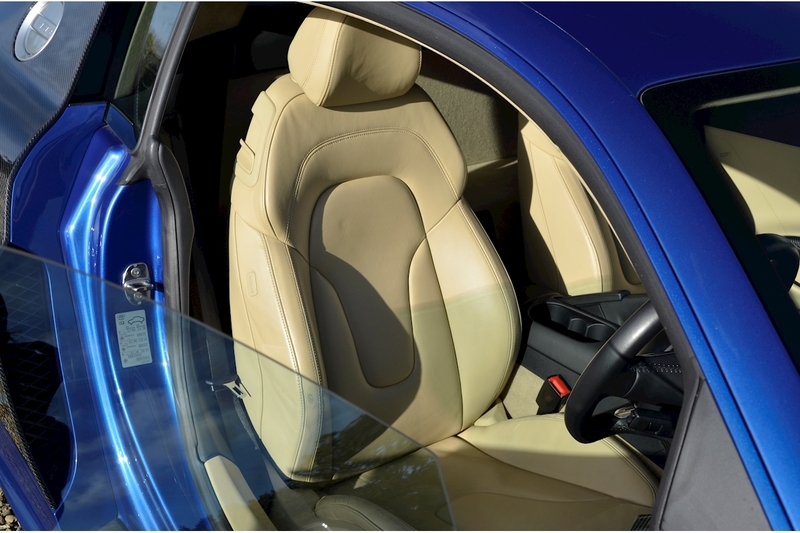 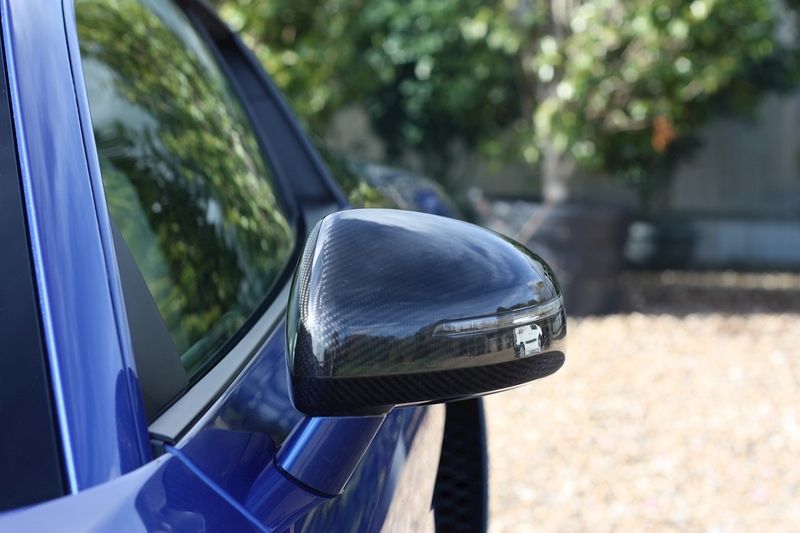 The car comes supplied with an amazing amount of Carbon Fibre extras including the Side Blades, Interior Trim, Wing Mirrors and the entire Engine Bay. 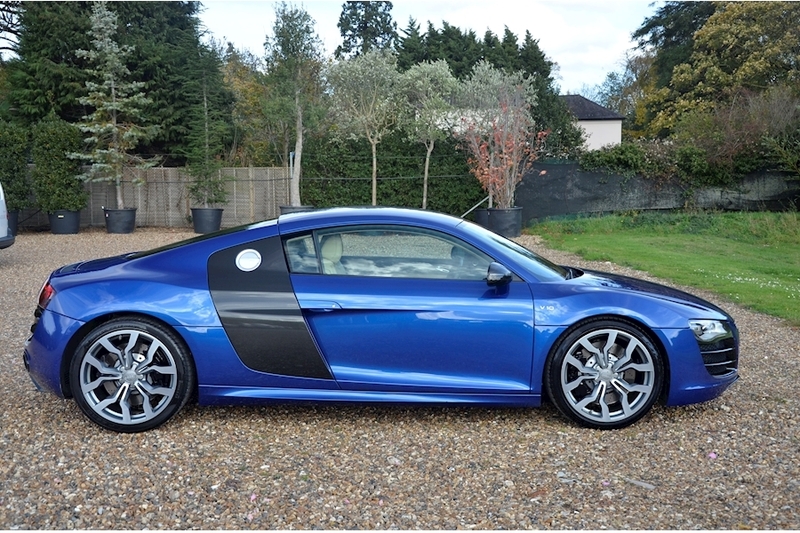 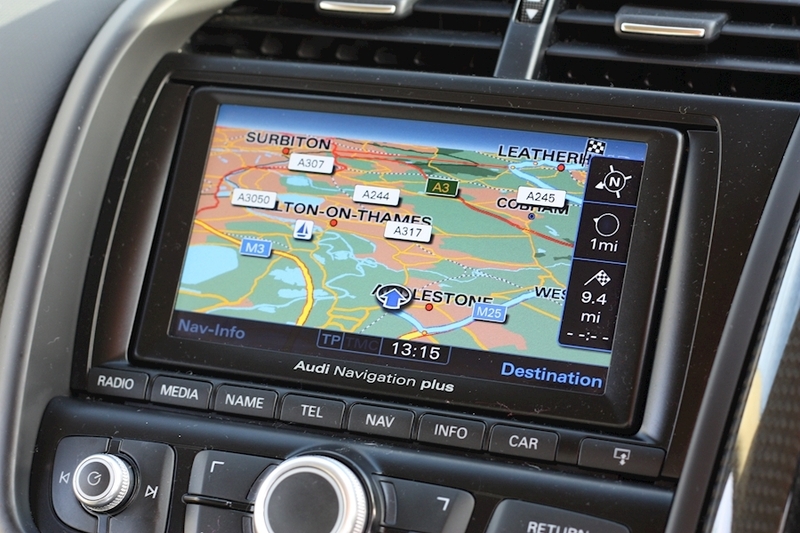 All of which added up to a list price on this car when new of just under £120k. 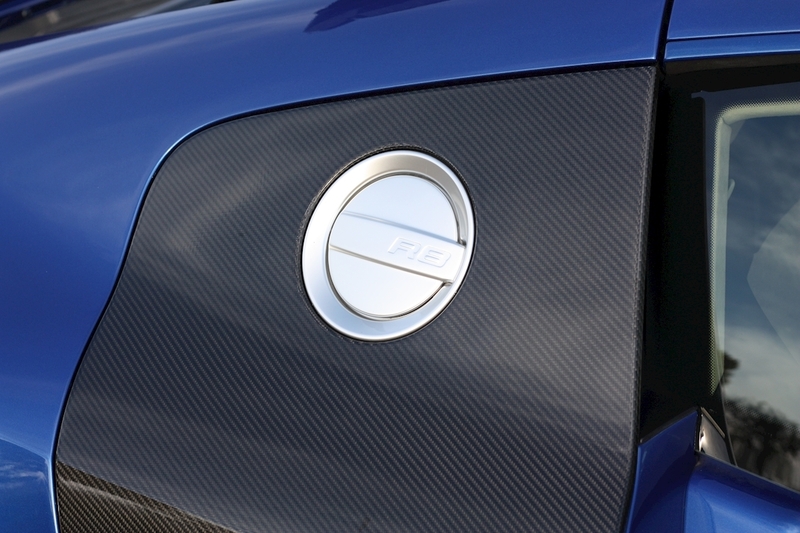 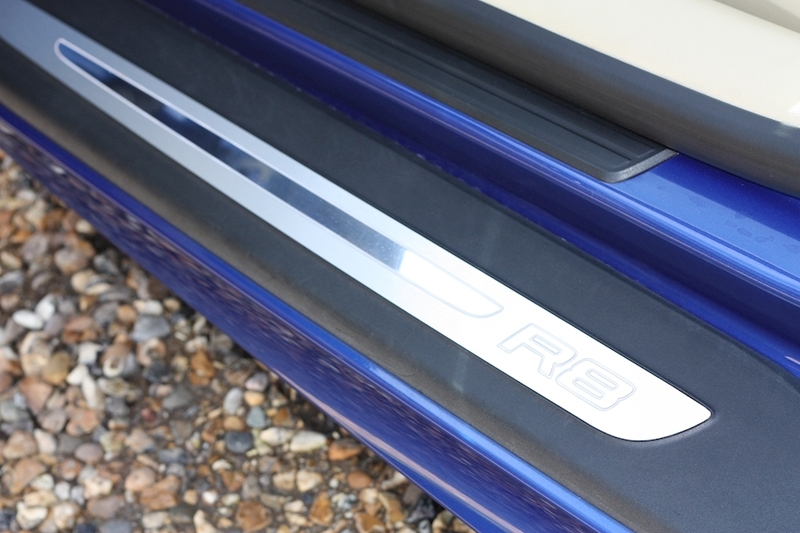 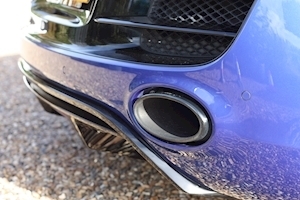 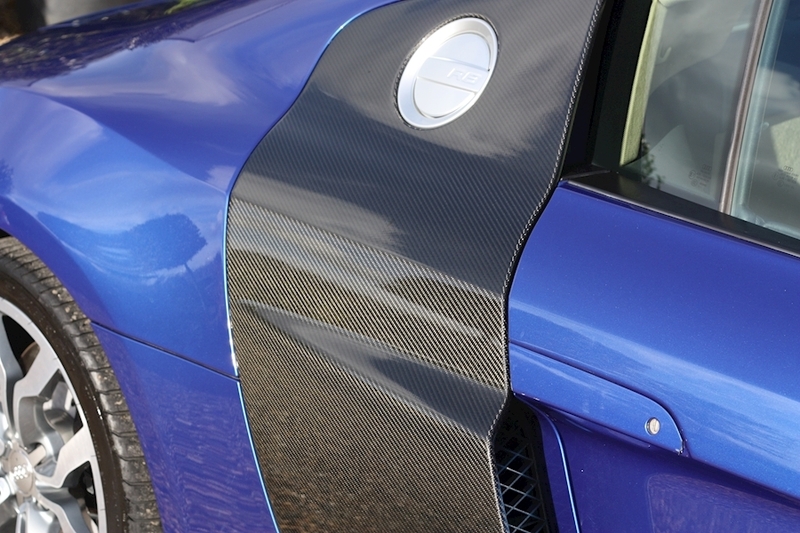 Not to mention the Sepang Blue paint which compliments the Carbon Fibre trim perfectly. 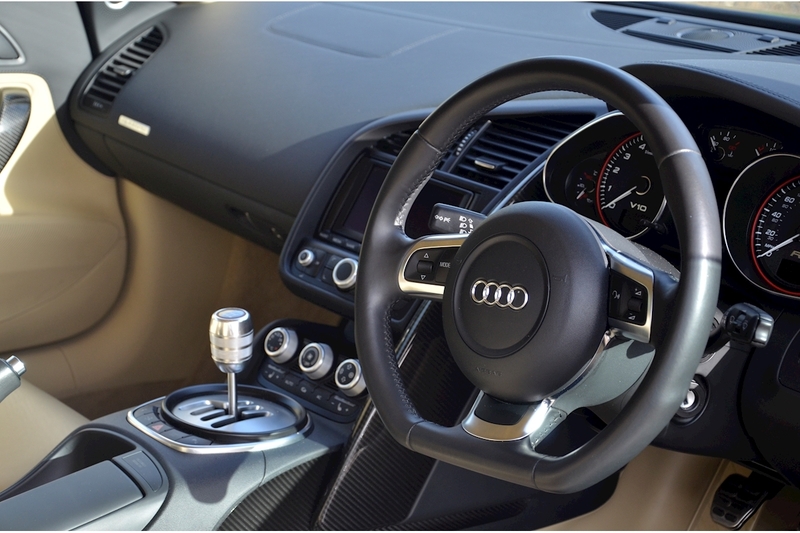 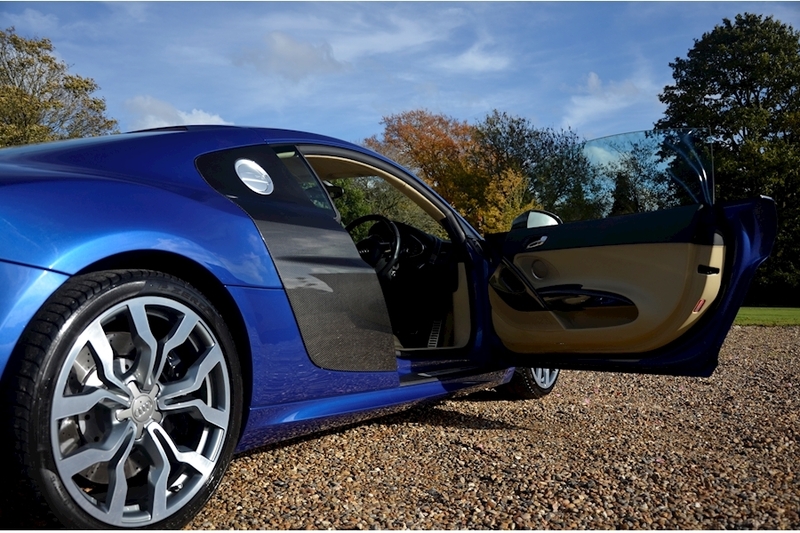 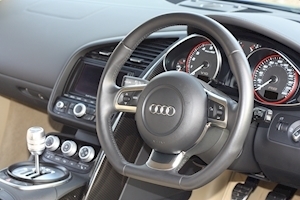 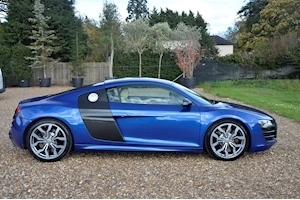 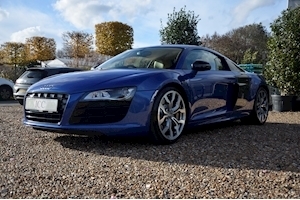 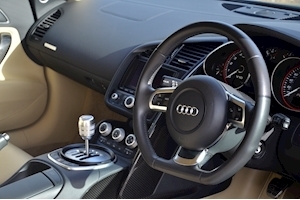 The car also benefits from a Full Service history and paint protection film on the front, A-pillars and roof which all adds up to a fantasticly well equiped R8 with great service history and in pristine condition. I think you will struggle to find a better example. 19" Y-Spoke Alloy Wheels, Exclusive Extended Beige Nappa Leather, Carbon Fibre Sigma Sideblades, Carbon Dash Trim, Carbon Door Handles, Carbon Engine Bay Cover, Carbon Fibre Mirrors, Carbon Interior Trim, LED Engine Bay Lighting, Custom Audi Car Cover, PPF to the Bonnet A-Pillars and Roof, Alcantara Roof Lining, Audi Mag Ride, Bang & Olufsen Stereo, Bluetooth/Iphone Connectivity, Electric Heated Seats with Lumbar Support, Front/Rear Park Assist, Full Audi Service History, Gloss Black Exterior Pack, Hill Hold, Magnetic Ride, Navigation System, Rear Parking Camera, Sepang Blue.